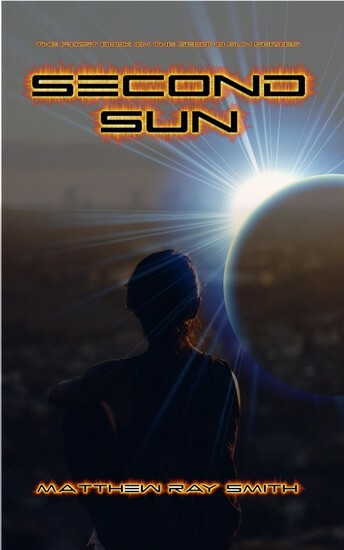 Hello their today I am going to talk about the book called the Second Sun. In this book there is a boy and a girl named Charley and Beka. This book is a science fiction about space travel. One day Beka and Charley were both taken away to a large area. This book is written in Third person omniscient. Charley and Beka were taken to a massive area surrounded by a large border. They both had to find food, water, and a way to survive by themselves. One odd day they found a note saying that they might have a chance to get out of the massive area. Later on in the story they meet these 2 boys named Jack and Blake and gang. They also wanted to get out of this massive place, they knew the place very well to. Will they get out of the massive area? Will they see their parents again? Then at the beginning of the book it had a good plot to it but in the middle I think the climax was kind of weak. I also thought that they could have had a little more detail. At the end I felt like I was there, I felt the emotion and their feelings. I felt overall the book could have had some more detail and little more action to it. I also think that the characters are believable because I know some people like the characters try to never give up and keep on going to find a way to pass. I recommend this book to anyone that likes easy books and people that like Science Fiction. I also recommend this book to people that like kids books. Another recommendation for people that like action books. My author Matthew Smith is a teacher and he is majored in technology. He was born in Mississippi and he lives here at Atlanta, Georgia. He has a wife and a son also enjoys reading, writing, flying, and scuba diving.